The five positive endovascular trials in acute ischemic stroke have revolutionized the management of acute cerebral ischemia and established endovascular revascularization as standard of care in eligible patients. However, there were differences in device type and procedures in the trials. Thus, the authors of all trials agreed to pool patient data in order to potentially detect subgroup differences. In this study, data from 4 trials (SWIFT PRIME, ESCAPE, EXTEND-IA, and REVASCAT) were pooled to examine treatment effects in patients specifically treated with Solitaire stent retriever. The primary outcome was degree of disability at 90 days as evaluated by modified rankin scale (mRS). 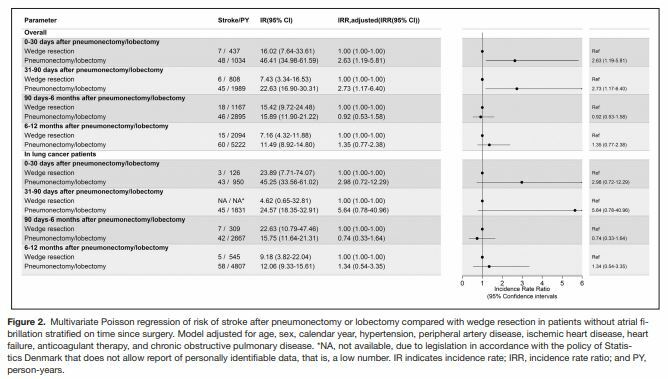 In total, 787 anterior circulation ischemic strokes were included and 401 were randomized to thrombectomy. The odds ratio for improvement in mRS was 2.7 with a number needed to treat of 2.5 patients to improve at least one level on the mRS. There was benefit in secondary outcomes as well such as early neurological recovery. These benefits were consistent across various patient characteristics such age, gender, stroke severity, site of occlusion, presence of tandem cervical carotid occlusion, ASPECT score, and time to randomization. There is clear benefit to endovascular intervention in patients with acute ischemic stroke. The benefit is likely a direct result of recanalization and reestablishing perfusion rather than a direct effect of the device itself. With increasing experience, the use of stent retrievers such as Solitaire will likely increase and patient selection will broaden. The subgroup analysis of this study suggests that patients >80 age showed benefit and age should not be sole exclusion criterion. Similarly, there was equal benefit in “low” stroke scale < 15 compared to >20 although decision to intervene on NIHSS < 6 should be made on an individual basis as the trials had very few patients within this category. Lastly, similar to IV-tPA, there is a declining probability of good outcome with time so once a treatment decision is made in an expedited but judicious manner, the focus should then tailor to minimizing delays. However, clinical utility in patients with low ASPECT scores and poor collaterals is unclear and should be addressed in future trials. As the scope and availability of endovascular treatment for large vessel occlusions in patients with ischemic stroke continues to increase, it is important for providers to have the ability to screen and predict which patients will benefit from these therapies. The most effective approach has been a topic of much debate and research, including utilizing ancillary testing to account for individual variations in collateral circulation and other factors that could potentially extend treatment indications and predict outcomes. Nearly all endovascular treatment trials use some combination of noncontrast head CT (NCCT), CT angiography (CTA) and/or CT perfusion (CTP) imaging to assist in clinical decision making due to the speed and availability of such scans. However, recent studies found that the currently utilized modalities may be insufficient to predict treatment effect or outcome. Wijngaard et al. sought to use cortical venous filling (CVF), a potential marker for collateral extent and perfusion, to assess whether the extent or velocity of CVF as obtained through dynamic CTA predicts clinical outcome at 3 months in ischemic stroke patients with proximal middle cerebral artery occlusion. All patients received a NCCT evaluated for early ischemic changes (ASPECTS); CTP/CTA was used for clot burden score, collateral status, cerebral-blood-flow (CBF), cerebral-blood-volume (CBV), mean-transit-time (MTT) and time-to-peak (TTP). Using the dynamic CTAHo, CVF was assessed visually—cortical venous contrast opacification and the number of cortical and anastomotic veins were evaluated in comparison with the contralateral hemisphere. The number of seconds to reach first CVF (appearance of any cortical vein draining into the superior sagittal sinus), optimal CVF (maximum contrast opacification of all cortical veins), and end of venous filling (complete absence of contrast) was measured. The velocity of CVF was calculated as the median differences between venous filling of the affected versus non-affected hemisphere. In addition, the extent of CVF was defined as either “good” or “poor,” based on comparing the extent of cortical vein filling at optimal CVF with the unaffected hemisphere using 50% as a cutoff. A total of 88 patients were selected from two Dutch medical centers from previously published studies (DUST and MR-CLEAN). The mean age of participants was 67 years; median NIHSS was 15 and 50% of the participants were women. The median time from onset to imaging was 77 minutes. Most patients (59%) were treated with IV thrombolysis alone, with 25% of patients receiving intra-arterial therapy. At 3 months, 54 patients (61%) had a poor clinical outcome (mRS 3-6), and 22 of 88 patients (25%) had died. Venous predictors of poor outcome at 3 months were: poor extent of optimal CVF (RR 1.8; 95% CI 1.4-2.4) and slow velocity of optimal CVF (RR 1.6; 95% CI 1.1-2.2). Logistic regression models were utilized, using a layered approach in which successive models included more variables. Model 1 included age, NIHSS, treatment and ASPECT score, model 2 included CBF, model 3 included collateral status, and model 4 included extent and velocity of CVF. The addition of venous filling parameters resulted in a significant (p<0.02) improvement in prediction of clinical outcome. Although only 22 patients underwent mechanical thrombectomy, good CVF parameters (good extent and fast CVF) predicted good clinical outcomes in patients with mTICI 2b and 3 reperfusion (RR 3.3; 95% CI 1.1-10.6, p<0.05), compared with patient groups with poor CVF and/or poor perfusion status combined. This study represents a novel use of venous filling parameters in predicting clinical outcome after ischemic stroke, resulting in a more accurate prediction when used in combination with previously studied measures. Based on these preliminary findings, one of the more promising applications may be its utility in predicting treatment effect of mechanical thrombectomy, but the small number of patients examined requires evaluation in a larger, prospective trial. If supported in additional research, CVF has the potential to become an important part in future trial design with respect to selecting patients for endovascular intervention. The authors’ choice to utilize dynamic CTA, however, limits its widespread application, as the more ubiquitous single-phase CTA cannot obtain time-resolved measurements. Parameters designed for use in single-phase CTA could be evaluated in a future study for its potential utility in facilities without dynamic CTA. Cell-based therapies, such as transplantation of exogenous cells or stimulation of endogenous cells, for stroke are lacking. Bone marrow-derived cells (BMCs) are a viable option as they allow autologous transplantation and can be mobilized by granulocyte colony-stimulating factor (G-CSF). Cytokines released by BMCs contain neuroprotective properties and stimulate endogenous repair thereby potentially improving outcomes following ischemia. In this animal study, the authors’ hypothesis is that the combination of G-CSF and BMC is more effective than either single treatment in mice subjected to focal ischemia. There were 4 randomly assigned groups: placebo, G-CSF, BMC, and G-CSF and BMC. Ischemia was induced by occlusion of the middle cerebral artery for 30 minutes. Treatment occurred 90 minutes after ischemia induction. Rotarod and cylinder test were used to assess motor performance and forelimb activity, respectively. At 1 or 7 days after ischemia, brains were harvested to assess for ischemic damage by various techniques. Results revealed that mice treated with G-CSF alone showed increased running time compared to G-CSF and BMC group. Infarct volumes were reduced in G-CSF group compared to placebo. Parenchymal bleeding was only seen in mice treated with BMCs or combination therapy. There was evidence of increased astrogliosis in mice treated with G-CSF and BMC as evident by increased GFAP-signal intensity and increased mean blood vessel diameter. An unexpected result of this study was the detrimental effects of combination therapy, namely due to hemorrhagic transformation. Potential mechanisms to account for this complication include altered immune cell polarization, excessive astrogliosis, increased number of dilated blood vessels and blood brain barrier loss. There are several confounding variables. Foremost, time is certainly a crucial element in ischemia. In this study, treatment was conducted at a single time point. Treatment with BMC at a different time, perhaps earlier, may potentially alter results. It’s well established that molecular changes occur within minutes of ischemia and early intervention may be crucial to consistently affect outcome before irreversible molecular changes occur. Secondly, there is an assumption that all mice were clinically equal following ischemia but this may not be accurate. Lastly, additional studies will need to be conducted to further evaluate G-CSF and its impact on blood brain barrier. Cell-based treatment in animal models may not translate into human studies given the complex heterogeneity and multitude of variables that cannot be controlled. Discovering modifiable risk factors of ischemic stroke is the future of stroke prevention. Hyperhomocysteinemia is associated with an increased risk of stroke and the most common MHTFR mutation, the MHTFR C677T mutation, leads to increased levels of homocysteine. However, previous studies evaluating the effect of lowering homocysteine levels with B vitamins have been negative in terms of reducing overall stroke risk. In the current manuscript, Dr. Rutten-Jacobs et al evaluate the association between the MHTFR C677T variant and small vessel disease. The authors evaluated the association between the MHTFR C677T mutation and both stroke subtype and white matter hyperintensity volume under the hypothesis that hyperhomocysteinemia only increases the risk of small vessel disease. In addition, as previous literature has shown an association between hypertension and homocysteine, the authors stratified patients by the presence of hypertension. The authors identified 1359 cases of lacunar strokes, almost 4000 cases of large vessel and cardioembolic strokes and over 14 000 controls. The MHTFR C677T mutation was significantly associated with lacunar stroke and white matter hyperintensity volume, but not with other stroke subtypes. Furthermore, stratifying the lacunar strokes by hypertension status, confirmed the association the MHTFR C677T mutation with lacunar strokes in hypertensive, but not in normotensive patients. The MHTFR C677T variant is associated with an elevated risk of specifically lacunar stroke and in patients who are hypertensive. The study adds further support that hyperhomocysteinemia is a risk factor for small vessel disease but not other subtypes of ischemic stroke. The manuscript should serve as a prime example of the importance of correctly choosing an outcome – perhaps B vitamins may successfully reduce stroke in patients with hyperhomocysteinemia when specifically lacunar stroke is chosen as the outcome of interest. Hyperglycemia in the setting of acute ischemic stroke has been associated with worsened outcomes, with an association seen with worsened vascular injury, increased infarct size, and hemorrhagic transformation; however, the mechanisms through which this occurs is not well elucidated. Here, matrix metalloprotease 3 (MMP3), which has previously been shown to contribute to tPA induced hemorrhagic transformation, was identified as a possible mediator of injury in hyperglycemic stroke. 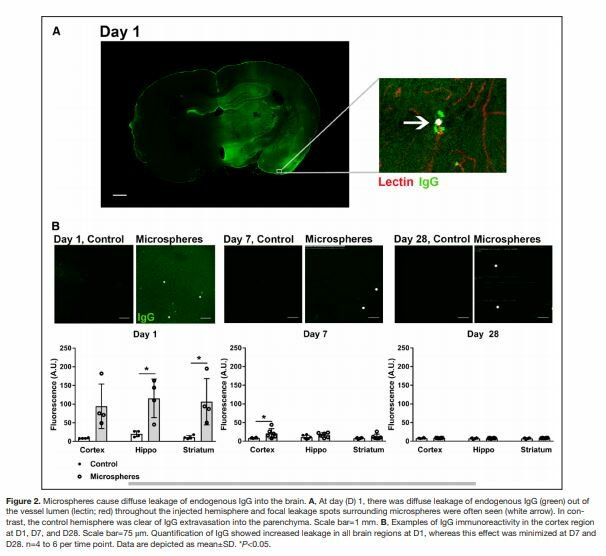 Using animal models, researchers identified increased MMP3 activity n the cerebral vasculature with induced hyperglycemia, and found that the use of MMP3 inhibitor at reperfusion reduced MMP3 activity in the brain. When MMP3 was inhibited in the hyperglycemic animal stroke model, hemorrhagic transformation and edema, albeit not infarct size, were reduced. Early inhibition did not lead to a mortality benefit, but did reduce hyperglycemic induced neurobehavioral deficits and improved functional outcomes at days 3 and 7 after stroke. A similar association was seen in MMP3 knockdown mice in terms of reduced brain edema, without effect on infarct size, as well as increase in neurobehavioral composite score and grip strength. Within this animal model, then, MMP3 does seem to be a mediator of injury in hyperglycemic stroke and may, at least partially, account for some of the poorer outcomes seen in hyperglycemic stroke. More importantly, the model is suggestive of MMP3 as a potential target for neuroprotection, not only in acute ischemic stroke, but possibly in hemorrhagic stroke, given its protective effect in hemorrhagic transformation, which is hugely important for hyperacute clinical research of neuroportection in the pre-emergency room setting. The authors studied prognostic factors of incident cerebral microbleeds (CMBs) in the PITCH study primary intracerebral hemorrhage (ICH) cohort with at least 2 MRIs and survival for 6 months post event, stratifying the findings according to the index ICH location. Amongst 168 included patients (median age 64 years) with ICH, 53% had at least 1 CMB. Anatomical distribution and number of CMBs were similar in patients with lobar and non-lobar ICH. Incident CMBs appeared in 80 patients (48%) in a median delay of 3.4 years (including 29 patients without CMBs at ICH onset), with a total number of 285 new CMBs, leading to an incidence rate of 14.2 per 100 person-years. Patients with CMBs at ICH onset had an almost 2.5 fold increased risk of developing incident CMBs during the follow-up period compared with patients without CMBs at ICH onset (aOR 2.27; 95% CI 1.18-4.35). In non-lobar ICH, incident CMBs were associated with incident lacunes (aOR 2.86; 95%CI 1.04-7.85) and with the use of antiplatelet agents during follow-up (aOR 2.89; 95%CI 1.14-7.32), while in lobar ICH incident CMBs were associated with incident radiological macro-hemorrhages (aOR 9.76; 95%CI 1.07-88.77). However, the proportion of antiplatelet agents use was similar in lobar and non-lobar ICH (31% and 32% respectively; p=0.89). This study provides long term MRI data and a better understanding into the possible etiologies of primary ICH as related to CMBs, which may be interesting surrogate markers. Cerebral venous thrombosis (CVT) is one of the most common causes of stroke during pregnancy and the puerperium, accounting for between one fourth and one half of all strokes during that period. Risk of CVT and other venous thrombotic events (VTEs) is increased during pregnancy, and women with a previous episode of non-cerebral VTE have a threefold to fourfold higher risk of VTE during subsequent pregnancies. Although thrombosis and thromboembolism is the leading cause of maternal mortality in developed countries, few studies have specifically investigated the safety of pregnancy in women with prior CVT. Aguiar de Sousa et al. performed a systematic review to ascertain the risk of CVT recurrence, occurrence of non-cerebral VTE, risk to the viability of pregnancy and the effect of antithrombotic prophylaxis. The authors performed a systematic search of Pubmed, Cochrane Database of Systematic Reviews and clinicaltrials.gov for observational studies, excluding case reports or selected case series, that included data suitable to derive the relative risk of CVT recurrence or non-cerebral VTE associated with subsequent pregnancy. Studies were assessed for quality of design and data reporting according to the GRADE approach. The primary outcome was the frequency of CVT and non-cerebral VTEs related to pregnancy in patients with a history of prior CVT. When available, subgroup analysis was performed for patients given antithrombotic prophylaxis. The risk of spontaneous abortion, stillbirth, and preterm birth were assessed as secondary outcomes. Pooled frequencies and 95% confidence intervals were calculated, using relative risk in previously described incidences in the general population, as no case control studies were identified. A simple pooled analysis of individual patient data was utilized, although a meta-analysis of proportions was also conducted. Heterogeneity among studies was assessed with Cochrane’s Q-test. A total of 13 studies were included from an initial pool of 523. Of these, 9[L1] studies included long term follow-up of patients with CVT and 5 studies evaluated complications during subsequent pregnancies in women with prior cerebrovascular disease. All but one of the studies were scored as having “moderate” methodological quality, with none considered to have unacceptable quality. Out of the 217 pregnancies in which CVT recurrence was assessed, two cases of recurrent CVT were reported (9 per 1,000 pregnancies; 95% CI 3-33 per 1,000). Compared to general population data obtained from the Healthcare Cost and Utilization Project, the relative risk was 85 (95% CI 21-339) after sensitivity analysis. The occurrence of non-cerebral VTE was assessed in 186 pregnancies, with 5 events reported (27 VTEs per 1,000 pregnancies CI 95% 12-61). This resulted in a relative risk of 16 (95% CI 7-39) using sensitivity analysis with the general population data as utilized above. The authors did not find sufficient data regarding antithrombotic prophylaxis for either of the above outcomes due to incomplete reporting. Among 186 reported pregnancies, 33 resulted in spontaneous abortion, with a calculated overall crude risk of 17.7% (95% CI 13-24). As there were no case control studies, the authors compared this value to the 10-15% rate of spontaneous abortion that has been previously reported in cohort studies. The rate of abortion was slightly higher in patients without antithrombotic prophylaxis (19% versus 11%), although the number of pregnancies that had associated data regarding prophylaxis was very low. This study represents the first comprehensive systematic review of the risk of recurrent CVT and VTE in pregnancy in patients with a history of prior CVT. Although there was a clear increase in the relative risk of recurrent CVT (80 times) and extracerebral VTE (10 times) in this patient population, the absolute risk remained low. The frequency of spontaneous abortion was slightly higher than published population data, and there was a trend towards lower rates in women treated with heparin prophylaxis. Despite heterogeneity in study design and data collection methods in the included studies, the authors’ choice to use objective outcomes and the lack of statistical heterogeneity strengthened their results. It is unfortunate that the outcome that would have the potential to influence clinical practice (effect of antithrombotic prophylaxis) could not be adequately assessed due to the method of data collection in the studies reviewed. A larger study evaluating VTE, pregnancy outcomes and prophylaxis complications could be useful in this regard. Inconsistent and incomplete reporting of the etiology of the index CVT represents another gap in data reporting with the potential to influence clinical practice. Given that the two reported cases of recurrent CVT were present in patients with pre-existing prothrombotic states (Protein S deficiency and sickle-cell anemia, respectively), more thorough data collection in a larger study could aid clinicians in risk stratifying patients to identify those who may be suitable for more aggressive prophylactic measures. Is a CT Within 6 Hours of Headache Onset Enough to Rule Out SAH? Subarachnoid hemorrhage (SAH) is the most devastating type of stroke – 50% of survivors are dead within six months and among those patients who survive, only 50% return to their previous level of functioning. For decades, classic neurology dogma has stated that in order to rule out a SAH, any patient who presents with a thunderclap headache (HA) must receive a lumbar puncture (LP) if the head CT is negative. However, recent data suggests that in neurologically intact patients, a CT is 100% sensitive to rule out SAH when performed within six hours using a modern generation CT scanner (16-slice or greater). Hence, is there is no longer a need to perform an LP after a negative head CT that is performed within six hours of HA onset? In this manuscript, Dr. Dubosh et al perform a meta-analysis to determine the sensitivity of modern generation CT scanners to rule out SAH in patients presenting to an emergency department within six hours of thunderclap HA. The authors identified five articles that met their inclusion criteria; four were retrospective and one was prospective. In total, 8,907 patients with thunderclap HA underwent a CT within six hours. Overall, thirteen out of the 8,907 patients had a missed SAH. The overall sensitivity of CT was 0.987 (95% CI 0.971-0.994), specificity was 0.999 (95% CI 0.993-1.0) and the likelihood ratio of a negative CT was 0.010 (95% CI 0.003-0.034). This equated to a miss rate of 1.5 per 1000 patients who present with thunderclap HA and receive a modern CT scan within six hours. It is important to note that each of the five studies had certain limitations. For example, perimesencephalic hemorrhage1 and SAH caused by a cervical arteriovenous malformation2 were considered missed causes of SAH. In addition, in the one prospective study by Perry et al3 (in which there were no documented missed cases of SAH), an LP was not performed in every patient who presented with thunderclap HA and had a negative CT. Although there was close follow-up using telephone interviews and monitoring coroner’s records, there may have been missed cases of SAH. Modern CT performed within 6 hours of patients presenting with thunderclap HA is an extremely sensitive tool to rule-out SAH. As with most tests, it is impossible to say that it is 100% sensitive, but it certainly approaches it. Although perhaps very few cases of SAH may be missed, clinicians must weigh this against the potential consequences of performing an LP including time, anxiety, post-LP complications, unnecessary vascular imaging (CTA, MRA, angiography) and probably most importantly subsequent ramifications such as inappropriate procedures for incidentally found vascular lesions. Of course, missing a SAH may be life threatening and can lead to significant consequences including death. 1. Blok KM, Rinkel GJ, Majoie CB, Hendrikse J, Braaksma M, Tijssen CC et al. CT within 6 hours of headache onset to rule out subarachnoid hemorrhage in nonacademic hospitals. Neurology. 2015;12:1927-193. 2. Backes D, Rinkel GJ, Kemperman H, Linn FH, Vergouwen MD. Time-dependent test characteristics of head computed tomography in patients suspected of nontraumatic subarachnoid hemorrhage. Stroke. 2012;43:2115-2119. 3. Perry JJ, Stiell IG, Sivilotti ML, Bullard MJ, Emond M, Symington C et al. Sensitivity of computed tomography performed within six hours of onset of headache for diagnosis of subarachnoid haemorrhage: prospective cohort study. BMJ. 2011;343:d4277. Although the benefit of intra-arterial thrombolysis has been demonstrated in recent multiple randomized studies, identification of certain thresholds or markers such as imaging is still being evaluated. The presence of good collaterals has been associated with smaller infarct volumes and better outcomes after IV tPA and IAT. Because MR CLEAN did not stratify by collateral status, the study population is ideal for assessing whether the effect of IAT was modified by collateral status on baseline CTA. In this post-hoc analysis of the MR CLEAN study, collaterals were graded on baseline CTA using a 4-point scale where 0 was absent, 1 for poor (>0% and ≤50% filling of the occluded territory), 2 for moderate (> 50% and < 100% filling of the occluded territory), and 3 for good collaterals (100% filling of the occluded territory). There was an independent and significant modification of the treatment effect on the primary outcome of shift in direction of better outcome on the mRS. In addition, there was a shift in the distribution on the mRS in favor of intervention across all collateral grades except those with grade 0; the strongest shift was in patients with grade 3 collaterals. Patients with grade 3 collaterals had a 29.5% absolute increase in the chance of becoming functionally independent at day 90 (mRS 0-2), whereas in patients with grade 0 collaterals, none of the patients achieved functional independence at day 90. On the one hand, the presence of good collaterals likely allows maintenance of perfusion to the ischemic penumbra, which may portend better outcomes, even beyond the 6 hour window; but the opposite hypothesis, that we should not take patients with grade 0 collaterals is not necessarily true. The use of collateral imaging and a standardized, simplified method of collateral grading may be a viable method of stratifying patients for IAT to maximize the benefit. As the authors point out, it may be that patients with poor collaterals would still benefit, but the window of therapeutic advantage is much narrower. Absent of collateral flow, these patients are entirely dependent on thrombolysis. Further studies are needed. Citing the high prevalence of cognitive impairment in patients with stroke, the authors call for better methods to easily detect cognitive impairment in this population. The authors aim to validate the Montreal Cognitive Assessment (MoCA) for classifying patients into three groups: low-, intermediate- and high-likelihood of moderate-severe cognitive impairment. Three hundred and ninety patients referred to a stroke prevention clinic after stroke or TIA or other potentially cerebrovascular disease completed the MoCA. The mean age was 62 (range 17-94), and 53% were female. Patients were non-aphasic and English-speaking. Of the 390 patients, 34% had ischemic or hemorrhagic stroke, 34% had possible or probable TIA, and 32% had other vascular or non-vascular diagnoses (e.g. migraine). The gold standard for receiver operator characteristic/area under the curve analyses was an extensive neuropsychological battery. The median MoCA score was 25 and did not differ significantly between diagnosis groups. By neuropsychological testing, 13% had moderate-severe cognitive impairment, and 30% had mild impairment. Using a single cut-point for classification as moderate-severe impairment, test characteristics were optimal for MoCA <23 (sensitivity 60%, specificity 90%). When two cut-points were assessed, the intermediate likelihood range was 23-27. In other words, a score of >27 reliably excluded patients with moderate-severe impairment (sensitivity 96%, negative predictive value 98%). A score of <23 reliably identified patients with moderate-severe impairment (specificity 90%, positive predictive value 49%). Of patients scoring in the intermediate likelihood range (23-27), 8% had moderate-severe impairment. The authors do not report the breakdown of the remaining 92% in terms of mild versus no cognitive impairment. The MoCA may therefore help for identify patients unlikely to have cognitive impairment (e.g. “rule out”), but, as expected for a screening test, is not specific (e.g. not diagnostic). In their sample, 62% of patients fell into the intermediate group, and only 8% of these patients had moderate-severe cognitive impairment; this suggests that the intermediate range may not be a helpful category. However, for targeting assessments and interventions in clinical practice and research, the high specificity cut-point (MoCA<23) will certainly be of use.